Organizing Ideas | Tired, Need Sleep. I’ve been trying so many different ways of organizing all the ideas I run across online. I’ve used Delicious to bookmark pages and add tags, I’ve kept notebooks filled with handwritten lists, and used google reader to tag and star items for later. It’s all about to drive me crazy because none of it works (for me). I’ve even looked at evernote, but it isn’t the answer for me either. I am so embarrassed when I write a post that includes an activity inspired by someone else’s post… and I can’t remember where I saw it. It’s just polite to give another blogger credit for her ideas. Sometimes I actually have ideas of my own. :) And I need somewhere to keep them. Somewhere that I have easy access to, and where they are sorted in a manner that makes at least a little bit of sense. I've been scribbling ideas down in a notebook for a long time now. However, math activities are mixed in with art and poems and abc’s, and so on. So, I decided to make my own organization system. And it’s actually working. Yay! And it’s simple. Really, really simple. I turned to my old friend, Excel and made a spreadsheet of ideas and activities. Click on the image to make it bigger. I’ve added room for 2 separate tags, a space for notes, and a space for a link if it’s something I’ve come across online. Now, when I sit down to read my blogs I open my spreadsheet up and just copy and paste away. And when I’m planning a week’s worth of activities and art projects, I can sort the spreadsheet by any of the headings - sensory ideas or counting activities or art – whatever! Also, I can print it and have it handy in my planning binder. This is the important part for me because I’m usually sitting in my easy chair drinking coffee, far away from the computer when I’m writing out our weekly calendar. I’m a hard-copy kind of girl. :) I think that’s why none of the online programs were working for me. I’ll be able to make notes of ideas that sprout from my own brain right onto my hard copy and add them onto the spreadsheet later. And I’ll probably be printing the spreadsheet on a monthly basis, which will help me go over all the things I’ve wanted to do but haven’t gotten around to yet. I’ll still use Delicious as a bookmarker for resource sites (not specific activities). And I’ve been taking 5 to 10 minute breaks once a day to go through my Google Reader list. I quickly star everything that looks interesting (and get rid of a lot that doesn’t), then go back later and read my starred items. That’s when I open my spreadsheet and start gathering new ideas. How do you keep all the terrific online information organized? I’d love to hear in the comments! I like your idea! I, too, need it simple. Hard copy is wonderful. What I have found (mostly) works for me is to use my favorites to bookmark. I have lots of categories/folders. Then I have subfolders, as needed. And sometimes a lot of subfolders! 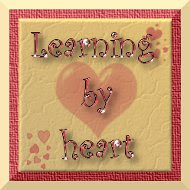 It is not a great system, but since I don't truly homeschool...(too much intensive therapy)...it works for now. Thank you for sharing! I've never created (though I've used) an excel doc. I just might have to though! I like this idea!!! I also struggle with organizing all my online ideas. I use Evernote, but when I clip stuff to it, I don't categorize it...so I have to look through all my clips to find what I need...gotta get better with that. I also go through my Reader list at least once a day. Glad the spreadsheet is working for you!!! I hate to admit it that I am terrible at organizing anything, and you just gave me an answer as to why. I am not just a hard copy person, I really like to handwrite my lists. Obviously, it doesn't work too well for websites and such. So I also use word and excel for organizing. Mostly I use word files for themes and dump everything there. Then when I am ready to do the theme, I pull it out and try to organize it in time using Excel. It kind of works for most of my needs, but lately I've been neglecting my system, and I find that I am scrambling again. Your post came at a good time. I have things all over the place when it comes to bookmarks, evernote, and starred google items. I was just telling my husband that I wish that Google Reader let you categorize the starred items. I really like the spreadsheet idea. I am definately a pen and paper person. Don't get me wrong, I love my computer, but when it comes to organizing our "school" stuff, projects, appointments, meals, pretty much everything, I use a teacher's plan book that I got free at Lake Shore Learning. Evernote is mostly working for me. But, I obsessively tag it when I clip it. So, that's why it works for me.